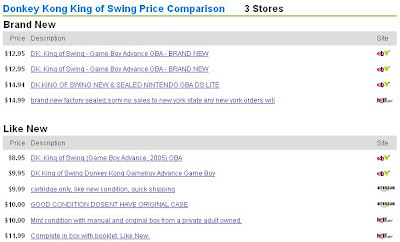 VideoGamePriceCharts has always shown comparison prices for ebay, Amazon, and Half.com so you can see which sites have the lowest prices on average. But you had to visit each site to see the current prices and choose the exact game you wanted to buy. 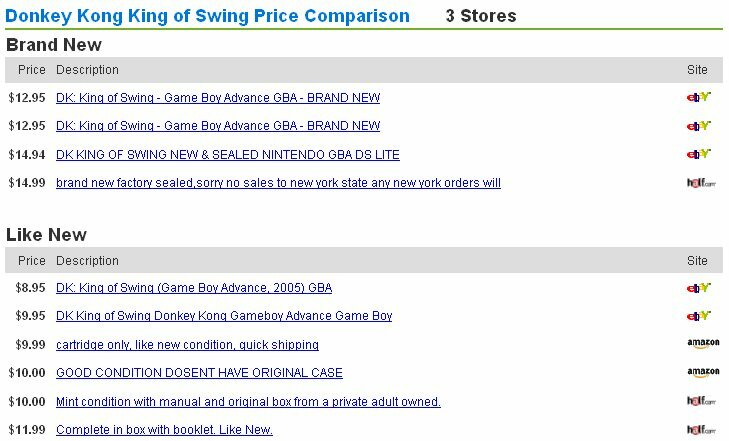 Our new "Compare Live Listings" feature on VGPC allows you to compare live video game listings from ebay, Amazon, and Half.com without ever leaving the site. We here at VGPC always want to give you guys the best pricing info we can. So with the release of the Call of Duty: Modern Warfare 2 Map Packs tomorrow (March 30) on Xbox 360 we thought we'd break down the pricing for you. The Stimulus Map Pack will cost you 1200 MS Points, or $15, and you'll get 5 maps. We will assume here that each map is of equal value, even though two of the maps are from the first Modern Warfare. So here's the breakdown. That only leaves us with $12 for the rest of the content on the retail disc. 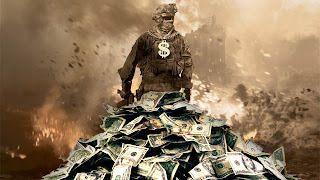 Modern Warfare 2 is separated into three parts: Single Player Campaign, Spec Ops, Multiplayer. That means, based on the Stimulus Map Pack pricing, the Single Player Campaign and Spec Ops only cost $6 each. Either that's a heck of a deal or $3 a map is a little too high. In the end it's your choice to buy the Stimulus Map Pack or not, but from our standpoint it seems a little high for the amount of content you're getting. Also keep this in mind, the map packs for Call of Duty: World at War cost $5 less last year. Sometimes you watch a movie and the ending totally surprises you. But when you watch the movie again, you see all the tell-tail signs and you wonder how you didn't notice Bruce Willis was dead along. Sorry, I should have given a spoiler alert there. This morning I got a nice little gift that gave me one of those moments. As you may have heard, Nintendo announced early details on their next handheld gaming device, and the world was shocked. But I have to ask you, why didn't we see this coming? It was right there in front of our eyes the entire time. How did we all miss this M. Night Shyamalan hint? And if you're interested in these candies for yourself you can get some at Candy Central, Toylet, Groovy Candies or swing by your local Bed, Bath & Beyond. Nintendo today announced their new handheld system, the true successor to the Nintendo DS, dubbed Nintendo 3DS. The new system, no pictures were released yet, is said to have 3D visuals with no need for glasses or headgear. Nintendo also promised to release it before March 2011. The technology behind this system will use similar tech as a Japanese-only DSi release (see more here). The game uses the DSi front-facing camera to track head movement of the player. This allows the screen to move around, relative to the player's eyes, and move the object on a 3-dimensional field. Fan created mock up. Not actual screen. 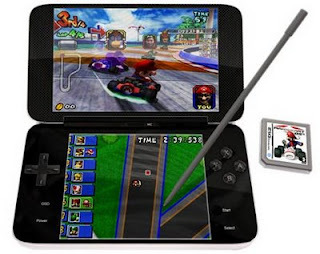 This new system was also rumored last week to have larger screens than the DSi, accelerometer(s), a processor as powerful as the GameCube and two screens close enough together that they seemingly act as one. We are most interested in seeing the unique games Nintendo can make with this technology. And the combination of accelerometers and head-tracking could be really interesting. Also, in typical Nintendo fashion, there will most likely be a few more secrets left for this little device. Remember the Nintendo DS initially wasn't said to have WiFi, a touch screen, or a microphone. Those are the secrets we're looking forward to the most with this announcement. Look for more details to emerge at E3. These details come from a GoNintendo article. These are to be taken as rumor for now. - "it is believed that the system will use a Sharp 3D LCD panel." Most rare video games are hard to find, that's why they are called "rare games". There might be only 5 or 6 available for sale during a twelve month period. But often times these rare games come in waves, with no sales for months on end and then two or three sales within a few weeks. This can be great information for video game collectors to know about as I will explain below. First let me show some examples of what I mean by rare games coming in waves. This timeline shows all the NTSC Stadium Events sales that have happened in the last 16 months. There have been fifteen sales during this time period, which would be an average of almost one per month. These sales didn't happen evenly though during the 16 months. There was one gap of 4 months and one of 6 months where no sales occurred at all. And then there were times when two sales occurred within two days. The same thing happens with Nintendo World Championships Gray cartridge. Long breaks of 3-4 months with no sale and then multiple sales within ten days. 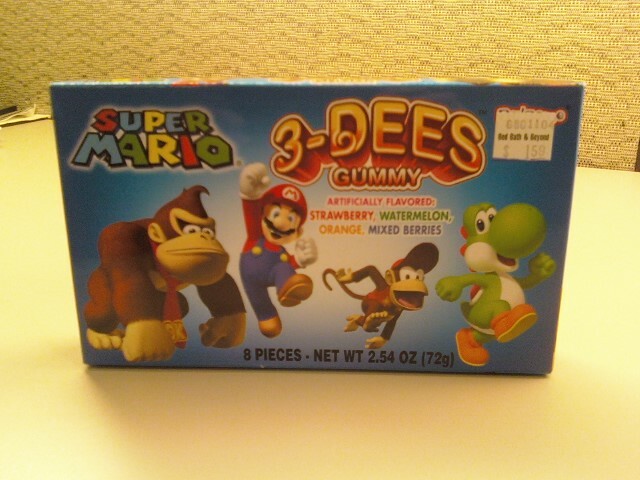 There are many, many examples of this but below are two more, Donkey Kong Country Competition and Bubble Bath Babes. Many times the sale of one rare game will bring out sales of more copies because owners of the game see how much it sold for the first time and think "I should sell my game if I can get that much for it." This happened after the $13,000 Stadium Events auction. Within two weeks there were at least six more NTSC Stadium Events up for sale and even more PAL Stadium Events. One successful sale leads to more. This information is interesting but how do you use it to help you with your video game collection? Don't Overpay, More Games Will Come - I've done this myself. I'm looking for a rare game I need for my collection. I wait and wait for an auction to show up on ebay but there isn't one for months on end. When an auction shows up six months later I'm so excited to finally have a chance to buy it that I bid too much just to make sure I win. One week later the game is up for auction again, and usually sells for less than I paid. If you know there is a good chance another game will come up for sale, you don't need to overbid because your anxious. A little bit of patience can save you hundreds of dollars. The most expensive Xbox I've ever seen was also state's evidence in a court case. The Xbox 360 that was purchased by ex Baltimore Mayor Sheila Dixon is now selling for $3,000 on ebay. Sheila Dixon was the Mayor of Baltimore, Maryland from January 2007 until January 2010 when she resigned from office following her indictment on 12 counts including perjury, theft, and misconduct. 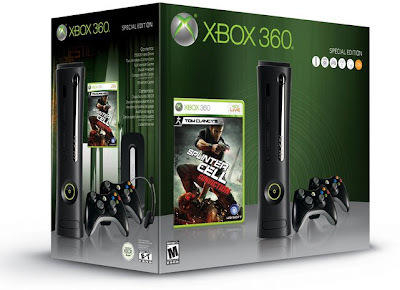 Coincidently an Xbox 360 was featured during the trial as evidence because Ms. Dixon had purchased the console using gift cards that were supposed to be distributed to needy families. 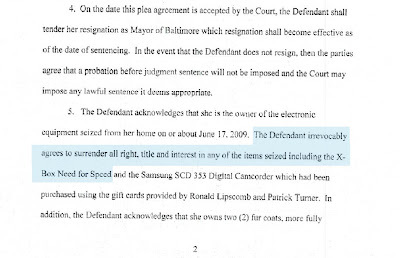 As part of the plea agreement the State of Maryland gets possession of the Xbox 360, Need for Speed game, and some other items that they can auction on ebay. 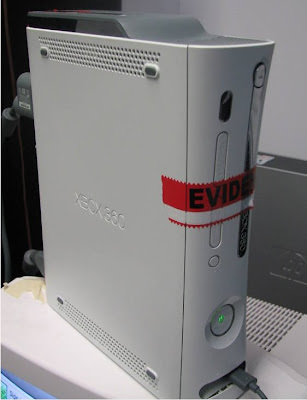 The Xbox 360 looks just like a regular 20GB 360 Console, but it has a big red evidence sticker on the front. The winner will be able to see if Ms. Dixon unlocked any achievements on Need for Speed, what save files she has, and who her Xbox Live friends might have been. Maybe National Enquirer is bidding on the Xbox so they have some tid-bits for a future story. There's an auction on ebay for Bubble Bath Babes. These don't come up for auction very often so we wanted to make sure the NES collectors knew about it. Using our handy last sale lookup feature, you can see Bubble Bath Babes sold for $511 back in December but the game usually sells for an average of $600 or so. I'm interested to see if the craziness around Stadium Events will increase prices for other rare Nintendo games too. We'll find out in 8 days when the auction ends. Splinter Cell Conviction will be launching April 13th and Microsoft is making a special edition Splinter Cell Conviction Xbox 360 Elite that will launch the same day. The Special Edition bundle include the game, special artwork on the box, two controllers, a 250GB hard drive, and everything else you would get in an Elite 360 package. The price is $399 per console, but other special edition consoles like the Resident Evil 5 Elite Console sell for more today than they did when they first launched if they are new, and about $100 less than retail if it is used. This seems to be a new pattern with Microsoft and big releases. Final Fantasy XIII 360 comes out tomorrow and I'm sure games like Halo Reach will have their own special editions bundles too. 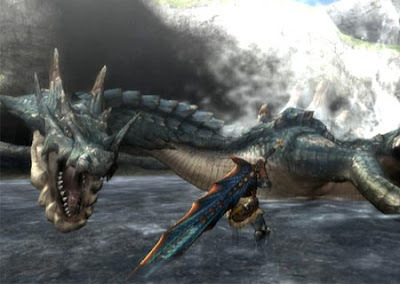 Monster Hunter Tri (MH3) is set to launch in North America on April 20, just a few short weeks away. Capcom promises to have free online play (the Japanese release is Pay-to-Play) and include Wii Speak (another feature the Japanese release was lacking). 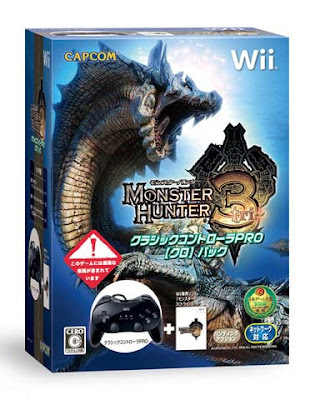 The Monster Hunter series is pretty massive in Japan but has yet to catch on here in North America, something both Nintendo and Capcom hope to remedy with MH3. Well we got our copy of the Monster Hunter Tri demo this morning and we can tell you the game has some serious potential, under the right circumstances. Read on below to find out what those circumstances are. Knowing the person who's giving you their opinion is important so you know if I like the same things you like. First off, I have only ever beaten one RPG in my life (Baten Kaitos for GCN) and I tend to lean more toward adventure, action games. I have also never played a Monster Hunter game in my life, before today. Now that's enough about me, onto the game. First off, this game can be gorgeous. I say can because the game has some really good artistic direction. Some of the areas are very unique and have a sense of history to them. I really like that aspect, see section 9 to know what I mean. On the other side of the coin they also tend to be sort of empty at times. Locations without any monster creatures roaming around seem desolate, very uninteresting. A beautiful environment with nothing in it seems kind of pointless to me. Graphically the game can look really good. Again, I say can because the game has a very "soap opera" look to it in 480i. Everything gets a little blurry and there are some spots that are extremely dark, probably remedied with torches we didn't have in the demo. But if you have an HDTV with component cables (for 480p) the game seems to really clear up. This makes a substantial difference, almost rivaling Mario Galaxy in sheer beauty. This is gorgeous in 480p. There are seven weapon classes to choose from: Sword and Shield, Great Sword, Hammer, Bowgun (Light, Medium and Heavy), Lance, Long Sword, and a Switch Axe which changes from Axe to Sword. I tried each of them and, for the most part, they play quite a bit differently. Sword and shield has a faster but weaker attack, the Lance was slower but had a longer reach and the Bowgun classes have great range but require reloading. By the end, I seemed to find the Great Sword fit my play style best (see it in the screen above). It had large swings with great damage and the B-dodge worked pretty well with it. We only got to try single player but it was neat to try our hand at some of the monsters in the game. If you had any fear this game would be easy let me tell you, one of the monsters was a real pain. After a good 30 minutes of slicing this guy, and his enormous dragon looking friend, I still never beat him. And that was only one attempt that lasted that long. Another thing to note, another can moment, are the controls. 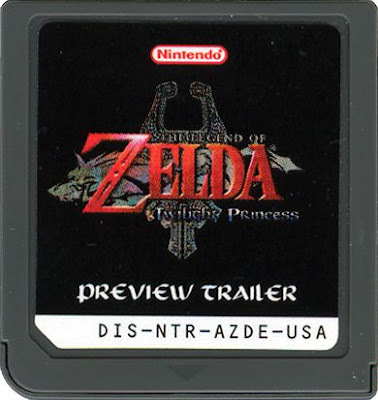 There's no lock-on (ala Zelda) so you will constantly be arranging the camera as you run and fight. Let me just sum this up, if you have a Classic Controller, play it with that. Or if you are already decided you're buying MH3, get the $59.99 bundle that comes with the Classic Controller. It's really that big of a difference. One last thing to note, this game has some humor in it too. The characters really seem alive and there are some neat animations that bring the world to life. Just to point out a few, there's the nap animation and the character cooking a BBQ that both had me cracking a smile. If none of the above apply to you, then you might just wanna wait for something else. Square-Enix and Microsoft are teaming up to offer a Special Edition Final Fantasy XIII Xbox 360 Bundle. This definitely has a good chance of becoming a collector's item. It's an RPG, a special edition console, and did I mention it's Final Fantasy? The bundle includes Final Fantasy XIII game, a white Xbox 360 Elite, a 250GB hard drive, and all the accessories you would usually find with a 360 Elite. The price will be $399 and it launches with the game on March 9th. Resident Evil 5 Special Edition Bundle still sells for about $450-500 if its new and I wouldn't be surprised if the FF13 bundle keeps its value just as well. With Mega Man 10 releasing today we thought it would be interesting to show everyone the most expensive Mega Man games (in the numbered) series. Also worth mentioning is the most expensive game with Mega Man in the title. That award goes to Mega Man: The Wily Wars for the Sega Genesis coming in at $102.50 and beating out the next game by $42. The auction for the second sealed Stadium Events on ebay is a fraud! I personally have contacted the seller and I know several collectors who have contacted them as well asking for pictures that prove the game factory sealed and "new" as they claim. Not a single person has received an email response showing these images. The seller needs to provide close up images of the top and sides of the game so people can check the seal and make sure it wasn't just resealed. There is a good guide on ebay to see if an NES game is factory sealed or not. I believe this seller either bought a boxed version of the game and then resealed it or worse yet just bought the box and there is no game inside at all. The bidding on the auction is also at more than $100,000 but everyone who has placed bids has low feedback scores. Everything about this auction is fishy and I wouldn't touch this auction with a 10 foot pole. Definitely buyer beware on this auction.